Numbered and individually signed, MiaBella Traditional Aged Balsamic Vinegar is handcrafted in small batches and aged up to 18 years in a fired barrel constructed of oak and juniper. 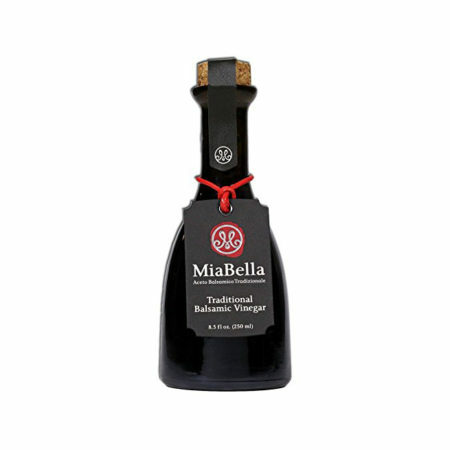 Each bottle of MiaBella contains only the finest quality traditional balsamic vinegar. Made of 100% Trebbiano grapes grown on the rolling green hills of Modena, with no added caramels, flavors, or preservatives.